In a close encounter of government troops with the New People's Army (NPA) rebels in Lobo, Batangas dated Sept. 2. The military obtained medical records of Communist Party of the Philippines (CPP) founding chairman Jose Ma. 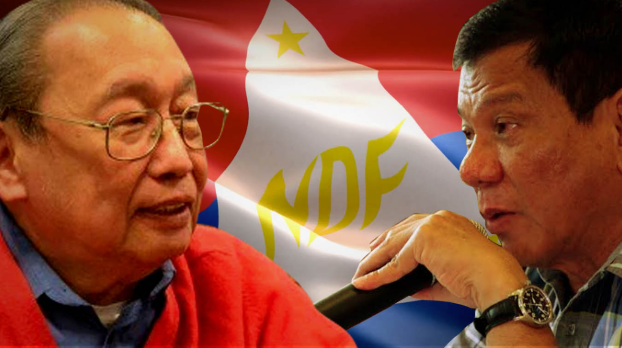 Sison that can testify President Rodrigo Duterte's claims that the old man in Netherland is sick and ill.
President Rodrigo Duterte has claimed during his speech in Davao last August 26 that the communist leader is suffering from colon cancer. 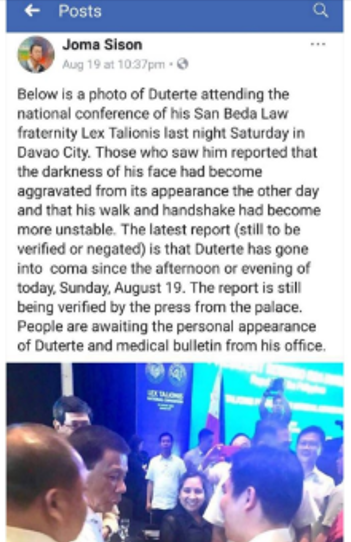 This was after Sison said that Duterte is sick on a Facebook post. “What’s wrong with Sison is, he is suffering from cancer of the colon, the intestines. He has undergone operation several times but the cancer has spread to his pancreas,” Duterte said. To prove Duterte's claims, the military troops have obtained the documents with their encounter with NPA rebels Ka Jethro and Ka Janice in Barangay Calumpit. “We recovered documents pertaining to Joma’s medical records. But I wasn’t able to go through it due to pursuit operation at the time,” said Lt. Col. Jonathan Manio of the Army’s 1st Infantry Battalion. Manio said, some of the rebels are from the NPA's National Health Bureau. 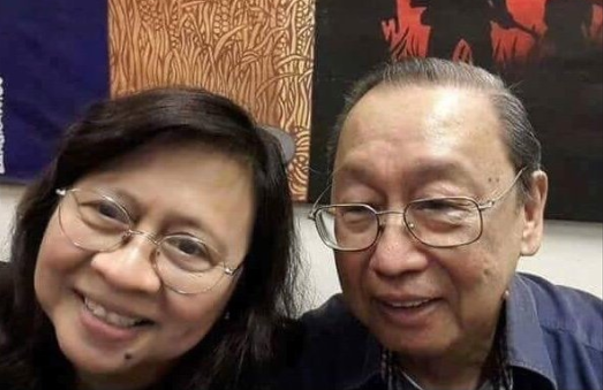 “One of the documents recovered was a xerox copy containing Sison’s current state of health in the Netherlands that was apparently forwarded and in the possession of the NPA National Health Bureau,” a military intelligence official revealed. National Security Adviser Hermogenes Esperon Jr. also said Sison is ill.
“Look at his face, isn’t he sick? That is expected, but let me not go into details. But he is really ill,” Esperon said in an earlier interview. Sison's medical records are now examined thoroughly to confirm that the communist leader is ill with stage 4 cancer.